A model, actress and singer Paramita RL Rana is considered one of the boldest model in Nepal. She is known to change her relationship status more than once. She was in relationship with a number of boys. Out of them, I know three of them, so far. 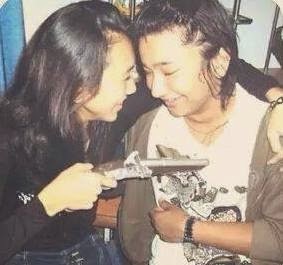 A long time ago, Paramita was in a relationship with Mahir Malla. The relationship lasted until Paramita met Ayushman DS Joshi. 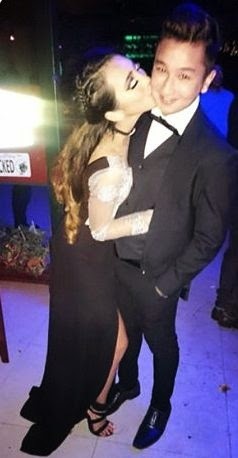 Although Priyanka Karki is accused of stealing Ayushman from Paramita, it was the weakness of the bond between them that allowed Priyanka to come in-between them. So, I don’t believe it is Priyanka who broke them. Now, it seems, Priyanka and Ayushman are quite compatible with each other. There is a higher possibility that the relationship will last longer as they are already engaged and are planning their marriage next year. Will Pramita marry Hisi Losang? Only time will tell. Hisi seems to be a rich guy and he might be more interested in the popularity than a long term relationship. Paramita might also have choose Hisi as a relief in the break-up pain. This just a “may-be”. Only time will tell what will happen to the relationships. Whatever might happen – it is their lives and all we can say is that – “they look so nice” as long as they are together. This entry was posted in Actress issues, Gossips. Bookmark the permalink.